This is an excellent liver cleanse recipe that I have adapted from about four or five other liver cleanse recipes that I have tried over the years. I have supercharged it with a few extra ingredients, but have put the main, base ingredients in bold to highlight the essentials. The combination of nutrients from the garlic, ginger, grapefruit, lemon and oils heals, soothes and detoxifies the liver and the taste is surprisingly refreshing and delicious! I would recommend doing this over the weekend, and in the morning. It is particularly effective if you have undertaken some light exercise such as walking or jogging prior to the liver cleanse as this helps to get the toxins moving out of the body and invigorates the lymph system. After the juice I would also recommend some breathing exercises to help the lymph flow on its way! 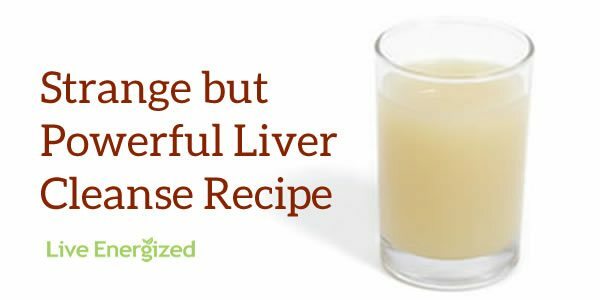 The Ultimate Liver Cleanse Recipe! Optional: a dash of cayenne pepper! This juice contains all of the most potent liver cleansing ingredients, and gives your liver a gentle flush and the opportunity to heal itself. There are no side effects to this drink, apart from a bit of garlic-breath for a while. However, the grapefruit removes most of the odour. I have also been told that this is the most incredible hangover cure in the world – so it might be worth bearing in mind just for that! It contains everything you would need to cure a hangover (vitamin c, omega 3, probiotics, water, ginger) so I can see how it would work! Garlic: contains numerous sulfur-containing compounds that are known to activate the liver enzymes responsible for expelling toxins from the body. Another lies in the presence of both allicin and selenium, two important nutrients that play an integral role in the protection of the liver from damage. Garlic is also proven to activate cells that specifically protect us from liver cancer, and also to lower cholesterol, prevent fatty liver and so much more. Ginger: has also shown remarkable abilities to prevent liver damage, scarring and prevent fibroids as well as fatty liver. Grapefruit: Phytonutrients in grapefruit called limonoids prevent tumor formation by promoting the production of one of the master antioxidants: glutathione-S-transferase. This detoxifying enzyme ignites a reaction in the liver that helps to make toxic compounds easier to remove from body, protecting the liver (and kidneys) in the process. Lemons: while also containing the limonoids mentioned above, lemons also supports liver function by strengthening liver enzymes, regulating blood carbohydrate levels and serving as the basis for new enzyme creation. Omega 3: strongly proven to prevent fatty liver, omega oils (omega 3 particularly) and liver disease, omega 3 is also powerfully anti-inflammatory and helps prevent toxic buildup, thus removing a lot of stress on the liver and kidneys too. Non-alcoholic fatty liver disease (NAFLD) is the biggest concern for the liver, and omega 3 is probably the one thing that prevents this more than anything! Try this drink, make it a part of your regular regime and reap the rewards! I have read that duck eggs leave the body alkaline rather than acid like chicken eggs. Do you have any reliable source that either proves or disproves this information? I have no gallbladder so would this be a cleanse that is more beneficial to me than any other? How often should this liver cleanse be taken to improve liver healing and then to maintain? But you need to make other changes too – most importantly cutting sugar, specifically fructose. Whereas other sugars can be metabolised throughout the body, only the liver can metabolise fructose, and in anything other than small quantities it causes a huge amount of stress to the liver. Is this a one time drink, or do you repeat it? Would it be beneficial to add any of the following , or should they be kept separate : 1tsp coconut oil (organic/cold pressed) , 2 drops Graefruit seed oil , 1/4 TSP Black Seed Oil , Sprig of Mint or Parsley , 1/4tsp Tri Pow (greens) , 1/4-1/2 Acai Powder . In place of acidophilus , Wholy Biosa .That many ingredients may make it taste bad , however would if be OK to experiment or would it be bad to mix in any of those ingredients? Thanks so much . My medication require that I do not have grapefruit bc of its grave effect. What would you recommend? First of all, thanks for doing your good work to help make the world a healthier place! I would like to do a liver cleanse next week and am brainstorming on different ways to do so. I read in a comment above that this is NOT a liver cleanse program as much as a one time thing. Have you done this for a certain amount of days straight? I was also curious if I should expect any intense bathroom trips? Drink this first thing in the morning for 7 days. Follow by a gentle laxative tea of flax seeds, fennel seeds, and fenugreek. Refrain from eating for at least 1 hour. For this week, avoid caffeine, alcohol, processed foods and sugar. There are no instructions as to what to do after the cleanse? Are there any restrictions as to what types of food can be consumed right after it? I like the recipe and the fact that it is a one day cleanse, but I do need to know if any fasting is required or not? Would you please get back to me soon as I am planning on doing the cleanse this Monday and would appreciate your immediate attention. Thank you in advance! Here is a recipe for a “Pesto” liver detox. It is absolutely delicious, too! Put all ingredients into blender and process at high speed until a smooth paste is formed. To use, you may take 1-2 tbsp. at a time by itself, or on organic crackers, or french type bread. Also can use Rice Pasta with as much pesto as is needed to top the pasta. When using as a liver cleanse, one would not use any of the other food items but just eat the pesto sauce by itself. The Parmesan cheese would not be used for the liver cleanse either, although it makes it taste a bit more delicious. I am on blood pressure meds and can’t mix the meds with grapefruit juice, any ideas, ? Hi Victoria, try using Lemons instead. All the best ! Hi Ross, brilliant stuff, I just wanted to say that I read up about ginger the other day, and you are not supposed to eat it if you have gallstones. And as I have gallstones, your liver cleanse looks good but can I leave out the garlic/ginger and just have the other ingredients. please please let me know, thanks. and can you give some recipes, ideas for gallstones, although I already feel good with your alkalising recipes . Can you substitute Grapefruit with anything else? The meds my friend is on makes him unable to drink grapefruit juice. Hi Polly, I just read your comment to ross, and just wanted to say I have gallstones, and have done alot of reseach since diagnosed last year, this website is brilliant, http://www.gallbladderattack.com. I would say dont have the olive oil in your glass of water, just have a large glass of filtered water with half a fresh lemon squeezed in it. I like to add a tsp. of olive oil, with lemon juice to my salads. And I have given up oils/fats and meat,cheese and eggs are the worst for pain. As your liver is going to have to do the extra work now I reckon follow Ross’s recipes as they are brilliant. Eat as much raw as you can. nice and interesting keep it up!! Lately I have taken to eating 1 Kiwi Fruit per Morning with my breakfast cereal. Is there much nutrition in Kiwi Fruit? How many times a day should one have the drink and for hoe long? Thanks for this post! I have been studying about the effects of liver health on the mind and body and its importance in Chinese medicine. The Chinese believe the Liver is the most important organ in the body. I haven’t quite properly don’t a liver cleanse yet but I have a history of health problems which I am combating bit by bit and the liver cleanse is on there! My mother use to study Chinese Medicine and said seaweed is a very good food to cleanse the liver (and any other green foods in fact). I have been taking Spirulina and Wheat grass too to see its effect (so far so good!). I have mercury fillings so am in the process of locating a dentist in London to take them out! This is something I have completely overlooked and is not well communicated here in the UK. My interest in good health started about 4 years ago when all I wanted to do was lose weight and get fit. It has now developed in a super healthy geekathon! I read articles, blogs, books and statistics on alternative health, nutrition and I am also a massive cook! Recently I converted to being vegan in an attempt to improve my health and reduce symptoms of various health problems. It has certainly made me feel better and become more creative in the kitchen such as chocolate brownies made from black beans! And this morning I had invented vegan green chilli, dried figs, turmeric, cumin, basil, rye flour and rock sea salt pancakes! If anyone is interested in the recipe let me know and I’ll post it somewhere! I am glad there are others out in the world who are also really passionate about this kind of stuff and I hope you convince many others to follow! Do you have offices in Melbourne? I am visiting Australia next winter and it would be interesting to come and see your work first-hand! I am hoping to study enough and do research in the areas of alternative and natural medicine or treatment through diet. A dream is to open my own clinic some day to educate and cure people (and throw in some cooking lessons too)! However I am not that organised so this might take a while! Anna, where can I get the recipe for black bean brownies. My grandchildren are vegan and I would like to make these for them. Thank you so much! Thanks for your reply, sorry about the 2nd repeated request, didn’t know if you’d received the first one – so I sent another. How does this recipe impact the gall bladder? I think I may be having some problems with mine. So I want to be a little careful. your information does not indicate how much to drink or how often to do this in a day or over time. do i sip the whole thing over 24 hours or do one serving in the am and another in the evening or one per day???? so glad for this site, keep up the great work!! please give more details about how one is to take this. Do I drink it all at once. or in small doses over the day. do I make several of these recipes and drink 1 serving several times a day. what is the amount i should take and how often. Think of this not as a cleanse program, but more as a drink that will help your liver to cleanse itself. Just drink this whenever you feel like your liver needs a helping hand and you can drink it all in one sitting. ?•.¸¸.•´¯`•.?.•´¯`•.¸¸.•. Thank You Ross .•.¸¸.•´¯`•.?.•´¯`•.¸¸.•.? I tried the Ultimate Liver Cleanse…I used my juicer for the garlic and ginger and the drink was great. I felt energized as well as noticed the whites of my eyes looking whiter. I have passed your web site as well as this cleanse to friends and family. I bought cool cayenne pepper capsules and opened one as well as the acidophilus put it in the blender and it worked great. Im a young early 30’s healthy mom of 2 with a loving hubby at home and a part time job – so I am always busy! I have been taking the Dr Max Powers 15 Day Cleanse (no, its not just for men as my dr told me) for approximately 8 days and they have worked wonders with my diet. In the past 3 days I have lost 6 pounds of waste. My appetite is down and I feel great. I’m taking 2 pills a day, 1 in the morning and 1 in the evening. There is no stomach cramping, although my stomach has made a couple of growling noises at me..giving me a warning that it is time to go to the bathroom..but other than that..no real problems..I am going to continue using these pills. Looking forward to more waste (weight) loss…hip-hip-hooray!!! I’m allergic to citrus fruits, is there something else I can substitute this with? Sounds like a tasty drink… minus the garlic and additives. also, this is VERY hard on your stomach to ingest all this acid at once. yes, i realize this is for 2 people but i would recommend drinking your drink throughout the day. i was sick not too long ago and bought 5 grapefruits. on the third or fourth i had BAD stomach pains. it didnt feel very good @ all… so i would suggest to just have lemon water OR grapefruits sparingly. before a meal is best because you absorb and digest nutrients and your food better. i read that your blood sugar levels are more stable by 25%. hi, i would just like to mention that acidophilus (or however you spell it) would not be beneficial AT ALL in this case because the acidity will kill the friendly bacteria as your suppose to take this stuff on an empty stomach when your stomach acids are low… grapefruit and lemons are HIGHest in that. please do your research before posting stuff that is completely wrong. Dear Sir, I have been diagnosed with mononucleosis (viral infection). What juice should I drink to cure it ? Will grapefruit juice help ?? These “stones” come from your stomach. The photos show coagulated (saponified) olive oil and Epsom salts, stained various colors by your own bile. By clearing your digestive system through spare and healthy eating for a few days, and then loading up with olive oil, fruit juice and Epsom salts right before a long sleep, you basically make little semi-hard, olive-oil-based soap pellets in your digestive system. Since they’re mostly made of olive oil, they float (gallstones would sink). And since they’re basically a complex organic compound, you can’t keep them unless you freeze them (gallstones are rock-like). Sure, you’ve never seen such things before. But then again, you’ve never eaten a concoction of olive oil and Epsom salts before. Those colorful little semi-hard pellets were never in you–that is, until you downed the ingredients the night before. They were never acquainted with your liver. What you get out this is a few days of healthy eating. No wonder you feel great. Nothing wrong with that. My mouth really opened when I saw the recipe. After suffering from a liver disorder I promised my mother and my sister (they are my only family after my family died of a car accident) that I would never drink liquor again. I am collecting recipes and all kinds of alternative medicines. It is really funny for some of my friends when they noticed that I am living clean now, and I do not hung out with them much, but I do not care if sometimes they do not want me in… Now I know who are my real friends. Is this beneficial for diabetics? Hi, your site is wonderful. We have just found out that my husband has cancer (primary site unknown) that has metastized to the liver. Is there anything you know of that would be beneficial for him and to get rid of the tumors on his liver? He has an aggressive tumor on his shoulder that has dissolved some of the bone in his left arm, but they only biopsied the liver yesterday. I know we have to cleanse and stop the mestastisis. I am giving him 1 oz shots of wheatgrass, which I am grinding, 2 x a day (1 ounce). And trying to alkalize his system thru diet, but he has little appetite. Please reply if you have heard of persons who have survived the liver metastisis and what they did to rid their bodies of cancer if you know. Thank you. Thanks for your kind words. I strongly recommend you pick up a copy of Dr Young’s The pH Miracle asap. Then learn, learn, read, read and do. His blog is FULL of great information too and I truly believe in his work. He has reversed all kinds of cancer so many times through nutrition alone that there is no doubt, for me, that his suggestions are well worth following. And if you put this search into google: site:articlesofhealth.blogspot.com cancer you will find heaps more. Feel free to email me on [email protected] if you have any more questions! Based on 35 years of research of liver health issues, including hepatitis, I Do not believe in the theory (never been proved) that hepatitis C is caused by a viral infection. The established correlation between the two does not prove there exists a cause-effect relationship. cells. To attach a vicious nature of an indiscriminate attack mode to these proteins is misleading and unscientific, to say the least. A virus cannot reproduce itself because it does not possess a reproductive system like bacteria have. To spread the “virus,” the body itself has to makes these proteins. However, the body is doing this only if there are chemicals, poisons, and other noxious substances that cannot be destroyed or removed by the body. Bacteria are only after organic material, such as damaged cells. Think of an apple that has fallen from the tree, and is bruised. Bacteria will only turn up when they are required to decompose what’s no longer useful or beneficial. Fungi go after dead cells. Likewise, viruses act as solvents to break down accumulated chemicals or poisons. If the liver is unable to remove these because of bile duct congestion, it has no other choice but to accumulate them. When a certain saturation point of chemicals has been reached, increased viral activity is about the only effective way of dealing with these chemicals. These chemicals may be derived from ingesting medical drugs, pesticides. food additives. etc. The body’s healing response or defense mechanism includes inflammation, and thus, inflamed damaged cells spill their enzymes into the blood. This raises ALS and AST. I found that hepatitis C sufferers have accumulated a much greater amount of intrahepatic gallstones (as Johns Hopkins university calls them) than average. Since I don’t believe in the benefit of treating the symptoms of disease, but their causes, I have come to the conclusion that hepatitis C requires the approaches outlined in The Amazing Liver and Gallbladder Flush. It matters little, what name is being attributed to advanced Iiver congestion. Hepatitis C is not a disease; it is natural response by the body to deal with an unnatural situation. It is up to the patient to improve the underlying condition (of congestion), and the body will respond it appropriately. I consider the liver and gallbladder flush to be one of them most important prerequisites for the body to heal itself. If the gallbladder has been removed, it’s even more important to cleanse the liver. Hello: I was diagnosed with Hep C after a blood transfusion 19 yrs ago and it has invaded my liver. I now have cirrhosis. I went thru chemo and my Hep C is undetected. I am very concerned about my liver; had a sonogram, but haven’t gotten the results. I would like to know if any of your cleansings could preclude my liver from getting any worse. Thanks so much for your time. My husband has Hepatitis C (dormant) and my brother has Hepatitis B (acute). I totally believe in natural remedies over drugs in helping with liver support. This liver cleanse sounds good. Could you advise how often a person who is suffering with acute symptoms of Hepatits B should be doing this cleanse? And is there something else you would recommend for the stress, lack of sleep, and other related issues of a liver being overworked with fighting off this virus? P.S. My husband was diagnosed with Hepatits C years ago and didn’t even know he had it until we underwent infertility treatment. But he wants to provide support to his liver and believes in natural liver support. Hi….. I read above where you say it is a supportive drink so I am assuming it is not really necessary to fast the day of the cleanse..I was just wondering if it would be more beneficial though or does it really not matter? My wife has polycystic liver disease for 12 years and has had them drained at hospital many times. However it has now become difficult to have them drained as they lie so deep and the liver so enlarged. Is there anything you can suggest that will help ease the problem. these organs work so hard, giving them a detox makes sense..
Oh thank you, I was also curious about other liver cleanses that you may find at health food stores like whole foods. These seem like they are more convenient ie a capsule administration, do you have any insite for me as to the pros/cons vs the one day epson cleanse that you just recommended? Again, thank you, I am looking for both a safe and convenient option for myself. The above juice is just a liver supportive drink you can use either as part of your normal life or during a full liver cleanse. Ross the liver flush you did? was it successful for you? How did you manage to get it down without throwing up? Hi Ross in Australia, thanks so very much! Unfortunately as soon as any medication or medical condition is mentioned I am legally unable to comment. I have been advised by live blood microscopists that undertaking a liver cleanse is a great way to rid the body of all manner of substances. I also understand that a liver cleanse should be proceeded by a short parasite cleanse and kidney cleanse. I hope this helps – sorry I am not allowed to be more specific! Hello, I cut and pasted a question *you received back in ’07 that you didn’t directly answer. I’ll ask it again because I have the very same question. Any help would be much appreciated! thanks. *Ive been very worried about the amount of Acetamenophen ive been taking, and have only recently found out about how detrimental high doses can be. Im on meds for chronic pain which keep my acetamenophen levels high on a regular basis… Does this, or do you know of any cleanses which can help get rid of the excess medicine in my liver and renal system? I was researching for a cleansing program. Just because I do believe that we should really cleanse or even just fast to take care this temple that GOD has given us. I started doing the drink, and I talked to a friend that she was doing this herbal drink every meal for cleansing and she has to eat raw veggies only for 7 days and lots of water. I do believe in those kinds of food. But what i am doing right now is your drink recipe, which i plan to do once a week, then eating raw veggies only and water once a week too. Will that be enough cleansing program for a starter or do I really have to follow like a 7 day or whatever program to really do the real cleansing? Thanks. Maybe some of your answers are in the links above, I just need to read on. This drink is super . Just doing raw veggie everyday and no other food , I really already feel , so healthy. It was not easy, because I do exercise regularly and so I got so hungry , but as long as I have the veggie ready and water , it does satisfy me. But I keep saying to myself I can’t live like this all the time….LOL. Thanks for your speedy reply! I’ve always had very clear skin and have had a glass of milk every night for as long as I can remember. I’ve actually never had a problem with dairy before…what I was thinking is the tumeric acted as a liver cleanser and the rash is a result of my body releasing toxins? Is that too far fetched? Do you think a proper liver cleanse might help? I love the Dr Guillet book too, I think her recipes are sensational, a leap forward in terms of alkaline cooking. However, I find the ‘course’ element of her book to be quite basic and still leaving too much to the individual to make the right choices. 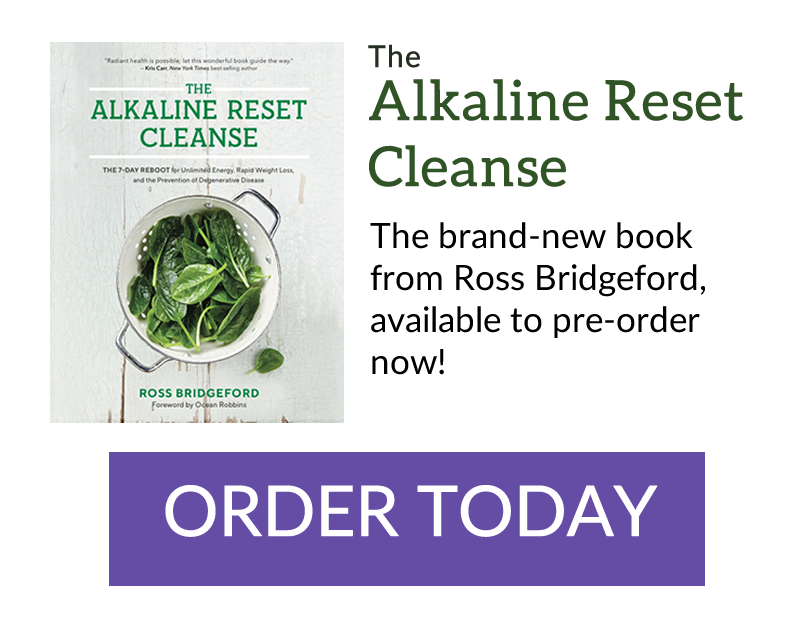 We both launched our publications at a very similar time – and I launched my Alkaline Diet Course to make it as easy as possible by not only including the information and recipes, but also a daily and weekly food, exercise, supplement and breathing exercise schedule, shopping lists for the recipes each week, weekly guidance emails etc. The aim was to take all of the thinking and hard work away from you so that it is as easy as possible to succeed. I’m not sure on the tumeric having this effect, but I do know that dairy is highly acidic and can cause these problems. Do you also wake up with excess mucus? I would certainly recommend cutting dairy out and certainly at night. 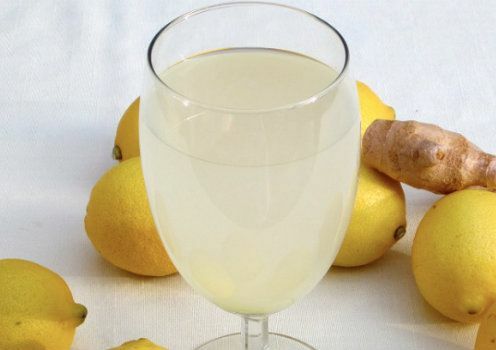 Try replacing the milk with tumeric with warm (not hot) water with fresh lemon squeezed in. I also recommend omega 3 from flax to be taken daily for dry skin. As I had read about the benefits of turmeric I started adding a level teaspoon to a glass of milk each night and drinking it – I did this for a month and now I have a rash on the corners of my mouth (dry scaly skin – quite rough) and on my eyelids! I have stopped drinking the milk for the past 3 weeks but this skin condition remains! What to do? I have tried Dr Annie Guillet’s Alkaline Cook Book also and the 4 week Plan in it is fantastic. I lost 8 kgs following the 4 week plan. I am still eating the foods from the book and my weight has now stabilized and I have so much more energy now. I am a very driven business person so energy to be able to complete all my daily tasks and still have energy to play with the kids is really important to me, so I am really grateful that I stumbled upon Jenny’s post above. After following Dr Annie Guillet’s Alkaline Diet I got really interested in why and how I lost so much weight so quickly and where all this fantastic burst in energy came from and I purchased Dr Robert Young’s Book the PH Miracle and it explained more to me About Alkalinity than Dr Annie Guillet’s Alkaline Cook Book, But I understand that her book is really just a fantastic Cook Book with lots of outstanding Alkaline Food Recipes in it. The beautiful color photos and easy step by step instructions makes it easy for me to impress my wife and cook dinner more often at home. She loves the Alkaline Cook Book too, the pictures motivates her to eat healthier. I would like to thank Jenny again for her post above and let her know that her post has made a big change in our lives. And I hope my post will do the same for you reading out there. PS. Enjoy The Alkaline Life Style! I want to start cleansing my body and your information was a great help. What would you recommend as a good colon cleansing product (colonix, Arise & Shine Cleanse 28, etc)? The recipe gives you an exact amount to drink (serves two, so halve it for just yourself) – and it is not a detox programme as such, it is just a cleansing drink for your liver. Drink it once a day, once a week – however often you like! If you have had a few foods or drinks that might have damaged your liver then have this one the next day to give it a helping hand! i would really like to know how much to drink at one time and how often???? 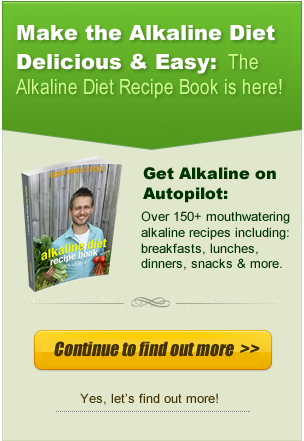 I’ve been doing a 4 week alkaline diet plan from The Alkaline Cook Book by Dr. Annie Guillet. I’m not a diet programs’ fan, but I had been feeling stressed and always sleepy so decided to give it a try as a good friend suggested it. Ah about the book, the recipes are very easy-making and I’ve purchased it from their website. Pingback: Candida - Any sufferers on here? I was wondering if u really have to do the kidney cleanse before doing the liver cleanse? and also, I herd that u shouldn’t do the liver cleanse during the winter time, is that true? what’s the effect if u do it in the winter? Atleast now I can use it for myself, and prevent myself from fallowing in his footsteps. Thank you so much for posting this site! I have recently quit smoking after after about 30 years. Im wondering if there if a cleansing for my liver or for my entire body to get all the toxins out? I am a 38 year old mother and I had my gallbladder out about 1.5 years ago. I have been loosing weight because I am very overweight. I m down about 20 lbs. and I ate a few egg rolls and started having pain as if I still had my gallbladder. This was about 2 weeks ago. Well today I ate some chili with very little beef in it and started having the same pain and now its worse. Can I still do a liver cleanse with out the gallbladder and it be effective. I just do not want to continue having problems. I am eating much healthier now. Will this help me if the problem is only in my liver? Hi guys and especially Sarah and Janice (because you’re both most likely to check back for an answer). There is a general theme of questions here about how long and how frequently to cleanse using this juice. This juice is cleansing to the liver and should be used as part of a wider cleanse that includes raw, green, fresh vegetable juices and raw soups, essential fatty acids and correct supplementation. See the post I linked to above. You shouldn’t ever cleanse or detox using just one food or drink, and should certainly not do it with drink alone. Flax is DEFINITELY better than olive (Udo’s Choice is best) because we already have (in a typical Western diet) a far greater ratio of omega 6 (from olive and cooking oils) than omega 3 (which is harder to get). So many of us are massively deficient in omega 3 and it is such an important nutrient! Hope this helps, let me know if you have any other questions and have a fabulous day. I echo others’ queries re: how often, and is olive better than flax (that flax story above gives one pause)..? I would like to know how often to I do a liver cleanse. Blend until smooth. Store in a glass jar in fridge. Take 2 t of liquid, add to a little water and drink. Drink this potion 2x a day for 7 days once a month. I personally passed kidney stones after 3 days taking it. On the Alkaline Recipe #4: The Ultimate Liver Cleanse Recipe: I seen the recipe for this but can you tell me how often and how long you are supposed to take this cleanse? Also, do you need to fast before this or lie down during the cleanse? I really need to do a live cleanse, I need it to be natural, I like the one that is posted, only thing is I tried the flax oil and my lips nearl exploded and I ended up in the hospital, any other suggestions. You mention Acidophilus. What is it and where can I obtain it in the UK? Hi, I’ve been suffering from diesel, chemical sensivity for 4 years. I’ve cured myself slowly with same, milk thistle, antioxidants, and liver cleanses. Cancer and chemical sensitivity have alot in common. The liver has to be de-toxed. I am on TMG, trimethylglycene. It is beet root extract and causes the liver to expel toxins. There are many alternatives to the liver cleanse. I highly recommend Dr. Hulga’s cleanse with epsom salts. The results are exactly what her cleanse says they are. I am a result person and no matter what else you try or use with the epsom salt cleanse don’t be afraid to use the epsom salt first. The results from my family alone were amazing. I enjoyed this site for it has helped me even more in learning how to live and stay healthy and it has also helped me in a homework assignment for my anatomy class I’m taking. I’m a Reflexologist in training .I’ve been in the health care system for over 13 years and I’m learning that the natural way is the best way for our bodies or for me that is.God bless! Please provide the answer to me that is given for question #11 from Cheryl. How often and how many times per day for how long do you take the mixture? I have chronic diarrhea and have been trying to find an answer to help heal my body. I am also looking for a parasite cleanse before I do the liver cleanse. Any comment is greatl appreciated. Ive been very worried about the amount of Acetamenophen ive been taking, and have only recently found out about how detrimental high doses can be. Im on meds for chronic pain which keep my acetamenophen levels high on a regular basis… Does this, or do you know of any cleanses which can help get rid of the excess medicine in my liver and renal system? I have read other articles that say you have to do a colon and kidney cleanse before you do a liver cleanse. Why can’t I do a liver cleanse now and then do a colon and kidney cleanse? Then, in 2 weeks I will do another liver cleanse. This is just a drink that is used as a pick me up or as PART OF a cleanse. From your question, I kinda got the impression you were asking with regards to this being a cleanse recipe in terms of this being ALL you consume. I definitely would not recommend any cleanse or detox that advocates only consuming one thing for any period of time. If that isnt what you meant then apologies!!! And as I always say – talk to your Dr or nutritionist too! Can you please tell me which one is better – the epsome/olive oil OR the grapefruit, lemon garlic and ginger etc.? And how long do you do the grapefruit/lemon one for? Thanks a bunch. I’m looking forward to trying this as I need a little energy boost. I was wondering how often you do the liver cleanse and how much of it do u take at a time and when do u do this ,like in the morning or evening or how many times a day do u do this ??? While doing this , do u eat anything inbetween or can you , or do u not eat at all while doing this cleanse? Harish, your father should have a detox cure with only fruits and some vegetables. Plants tea also helps for the kidney rehab. You tell me a very healthy source of food.I’ll surely tell it to my cousin. Do you fast while doing this liver cleanse or is it alright to eat? Do you only drink this once a day for a couple of days … or is it more often and for longer? Unfortunately, not being a medical doctor I am unable to prescribe or advice of any medicine for your father’s condition (see here for more info). Diet, nutrition and exercise can play a huge role in recovery from illness so try to learn as much as you can! Sorry I cannot be of more direct help to you. Thanks for stopping by and for the kind words! I am not 100% au-fait with the restrictions etc for you after your transplant, however, if you are OK with lemon then yep – the drink is great with 100% lemon juice instead of a mix of lemon and grapefruit. The lemon, oils, garlic and ginger will still give you a great, refreshing and cleansing juice! Great site!I have also heard that EPSOM salts are good for a liver detox. What do they do? Also can u use olive oil instead of flax oil? Pingback:	Energise for Life: Health, Nutrition, Detox and Energy » Top 5 Alkalising Snacks! « Post Your Questions About Alkalising Here!